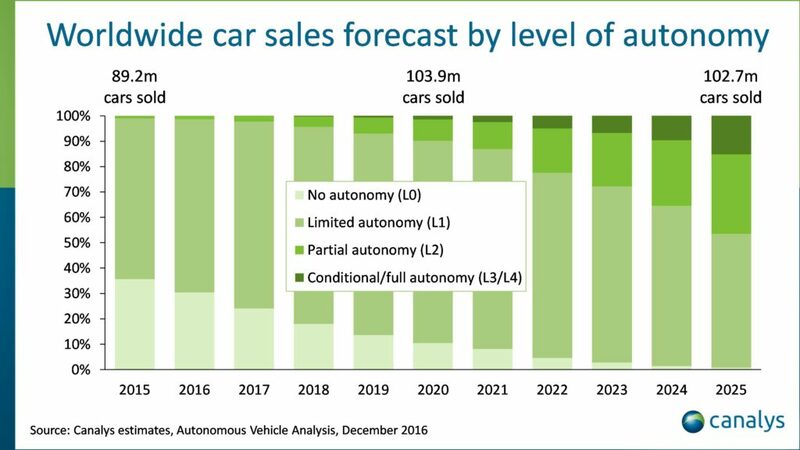 Canalys forecasts that in 2025, 15% of new passenger car sales worldwide will be autonomous vehicles, with either conditional or full autonomy (level 3 or level 4) capabilities. The automotive industry and many technology companies are working toward a future of autonomous vehicles. But it will take a huge effort from where the industry is today. 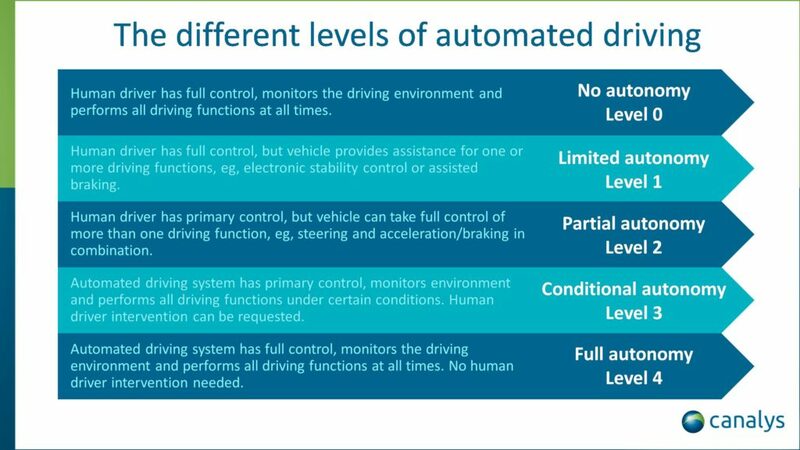 Canalys estimates that only 1.3% of cars sold in 2016 will offer partial autonomy (level 2) and the only cars with conditional or full autonomy in 2016 are for research and development purposes or being used in small public trials.